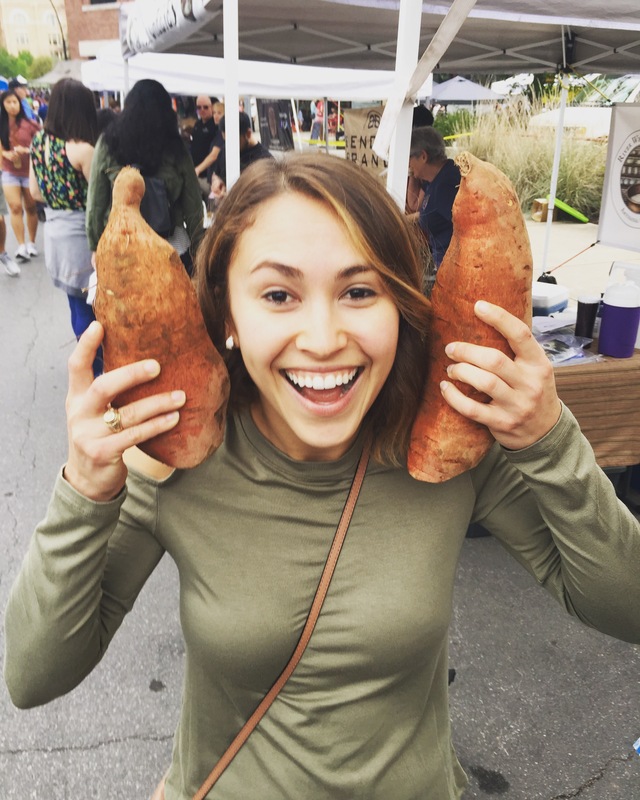 If you follow me on Instagram, you have probably seen that I purchased these HUGE sweet potatoes from a farmers market in San Antonio this past weekend. I was super excited, because I immediately thought, “sweet potato buns/toast!” Of course, you can do these with sweet potatoes that you purchase from a store, just search for the biggest ones in the pile! With one of the sweet potatoes, I washed it then cut it in half so I can get the widest section of the sweet potato. I then cut 2 slices that were an inch thick for my toast and got them ready to be placed in the oven! This is a quick and simple breakfast that targets the macro nutrients and will also keep you full and satisfied for a long time! This is also a great breakfast to have after working out! The protein, healthy fat, and healthy starch is what your body needs after some movement! Let’s get started, because I am getting hungry! Preheat the oven to 400•F and line a baking sheet with parchment paper. Cut 2 slices that are about an inch thick from the thickest part of the sweet potato and then drizzle some of the olive oil on both sides of the sweet potato slices. I gave a measurement of 1-2 tablespoons, because this could depend on how big your slices are! After you spread the olive oil, sprinkle sea salt on both sides of the slices. Place in the oven for 20 minutes flipping over once halfway through. Meanwhile, heat a medium skillet on medium heat with the rest of the olive oil. Add two fried eggs to the skillet and season with sea salt and pepper. While the eggs and sweet potato slices are cooking, separate your avocado into halves and remove the seed by stabbing a knife into it and twist. Slice the meat into cubes into the skin and then using a spoon, scoop the meat into a bowl. Mash the avocado in a bowl and set aside. 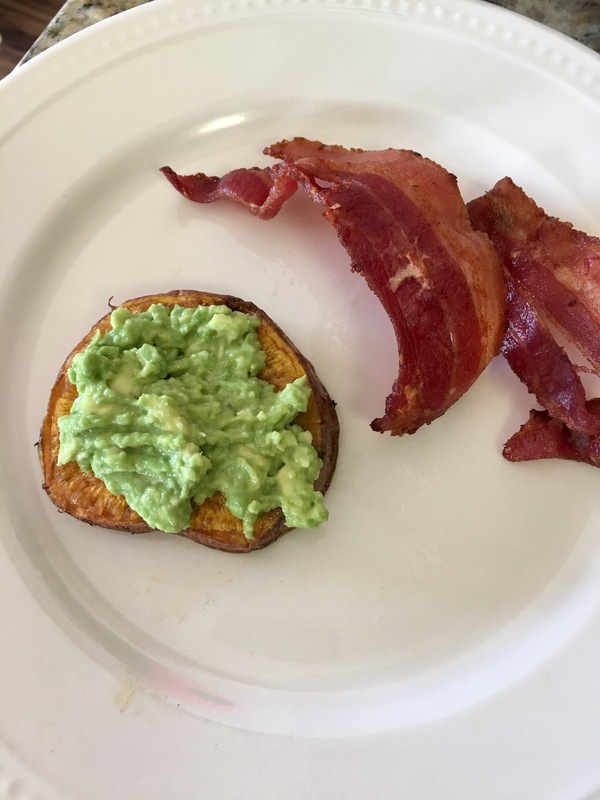 Once the sweet potato slices are done, apply the avocado mash on top of the slices and sprinkle with sea salt, pepper, and chili pepper flakes. Then top it with your yummy fried egg and sprinkle some chili pepper to the egg! You’re all set for a deliciously satisfying breakfast! Enjoy! !